We're just a few hours from the Oscars. While some categories seem virtual walkovers, there's some that feel like they're a true roll of the dice. In other words, where there's serious money to be made if you're the betting sort. The Revenant. That Leonardo DiCaprio movie that is at the top of everyone's mind. Leo may be a shoe-in for Best Actor but his movie The Revenant is not. It may have won the British Academy of Film and Television Arts (BAFTA) and Directors Guild of America (DAG) awards but Spotlight seems to have the most consistent and passionate support. The thing with the Oscars is that it is a preferential ballot. So while The Revenant may get most number-one votes, Big Short, Spotlight will get all the number two and three votes. That can often skew the results if a movie generated strong reactions - which The Revenant certainly did. People either loved or hated it - which would translate to a chunk of number-one votes but also lots of five, six, seven votes. That was precisely the equation that helped Birdman win last year. Lots of second-place votes and a couple of first-place votes from Academy voters. 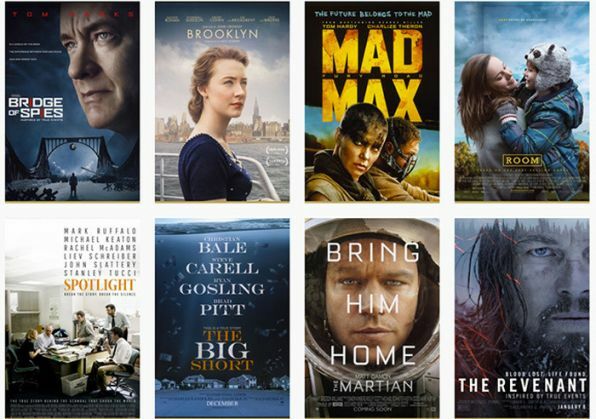 Which means that while The Revenant is leading, Spotlight or The Big Short could well be coming to crash the party. The dark horses seem to have especially dark chances on this one. Not a single 'expert' has predicted this as anything but a battle between Miller and Inarritu. If the latter does win, it will be his second consecutive Best Director award. Anne Thompson of IndieWire believes it will be Miller - and with that movie taking the summer by surprise, it's not unthinkable, though it will still be a surprise; 23 out of 27 'experts' are calling for an Inarritu win. Want to be brave without being entirely reckless? A little money on Miller might not be off after all. That being said, Sylvester Stallone in Creed has pretty solid chances. Creed is that movie most people overlooked because it looked like a run-of-the-mill affair. Those who did make it, however? Were impressed as hell with Sylvester Stallone for reprising the role of Rocky Balboa with the kind of skill he did. It's certainly put him in the enviable position of being a frontrunner for an Oscar, after losing out in the Best Actor and Best Original Screenplay categories for the original Rocky film back in 1976. What does that mean? A likely split ballot, with the winner not being an outright favourite as much as having a slim advantage over the other. Many pundits and experts are predicting Asif Kapadia's brilliant documentary about late-troubled singer Amy Winehouse; others are keeping an eye on The Look of Silence, Joshua Oppenheimer's follow up to The Act of Killing as well as on Matthew Heineman's Cartel Land. Their current awards-season run doesn't make the picture clearer either. Amy recently won the BAFTA but Cartel Land picked up the Director's Guild of America Award. Which means - but you already knew that - it's still anyone's game. This category may not be on most people's radar, but thanks to its Indian connection makes it to this list. Sanjay's Super Team is the directorial venture of Indian-origin director Sanjay Patel and seems the likeliest to win - in part because with Pixar's backing, this short has got wide acclaim from across the spectrum. 15 of the 25 experts here predict a triumph for the movie. Those are good odds. Whether they make the cut, the next few hours will tell.